Everything is selling quick! Check out these two new listings…. RARE! RARE! RARE find in the Rose Garden area…. 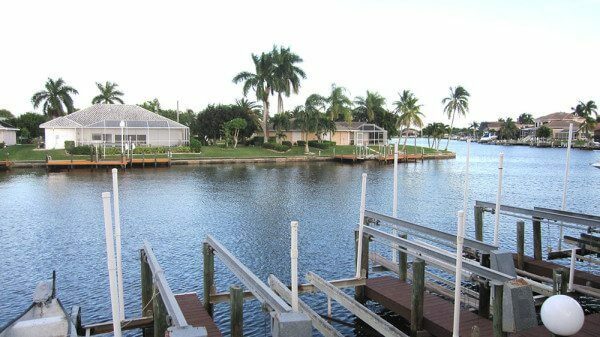 You don’t see too many of these large condos with quick GULF ACCESS and a PRIVATE DOCK on the market ….. 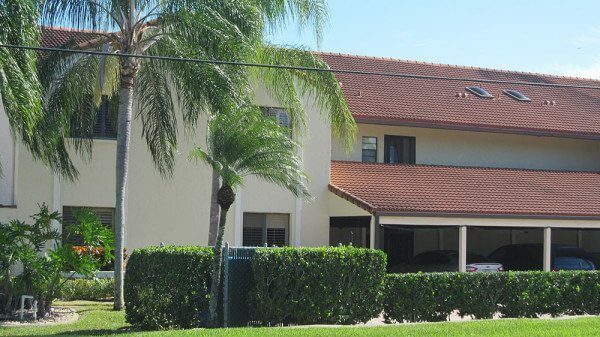 Especially a FIRST FLOOR END UNIT with GRANITE, diagonal 20″ tile, faux painted tray ceiling, plantation shutters, a large screened lanai/porch area within just a few steps of the pool, 10K boat lift, electric wind shutters on the lanai and picture window, high 10′ ceilings, and more. Not to mention — the WATERFRONT VIEWS over the 200′ canal are just amazing! Imagine sitting in your screened lanai overlooking the water, watching the sunrise, drinking a cup of coffee and dreaming about the boating day ahead. GREAT Location makes everything available: restaurants and shopping just a short drive or bike ride away, great community for bike riding and walking, and only located approx. 20 miles to the International airport. Are you tired of shoveling snow? Ready to own your own piece of SW Florida Paradise? 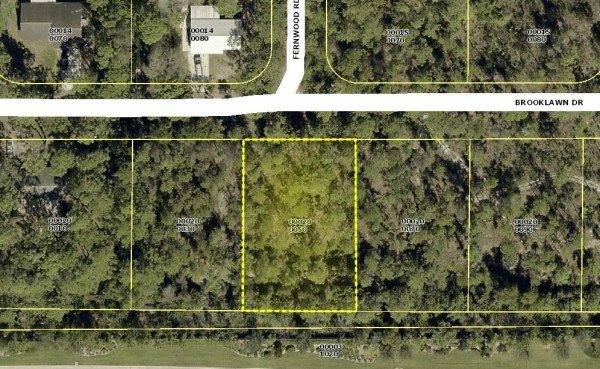 This OVERSIZED lot is priced to sell! Nice little community with lots of privacy and still close enough to shopping, etc… tucked between the beautiful communities of Herons Glen and Magnolia Landing. Cape Coral inventory saw a 5% increase last month, great news for our market. 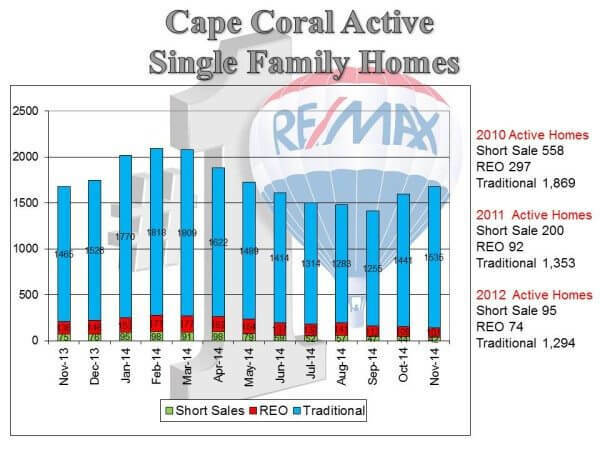 If this continues (gradual increase of new listings) and pendings continue equally as strong, inventory will should remain below 6mo. 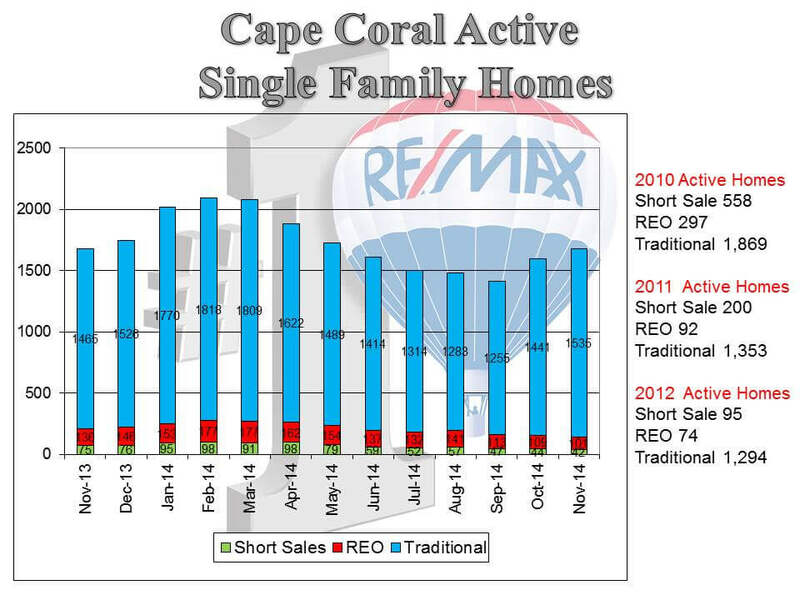 441 new active listings were taken in November and 338 went under agreement. In contrast to the previous year, when 202 properties went active, the 9mo if inventory we saw at the beginning of the year was inevitable! 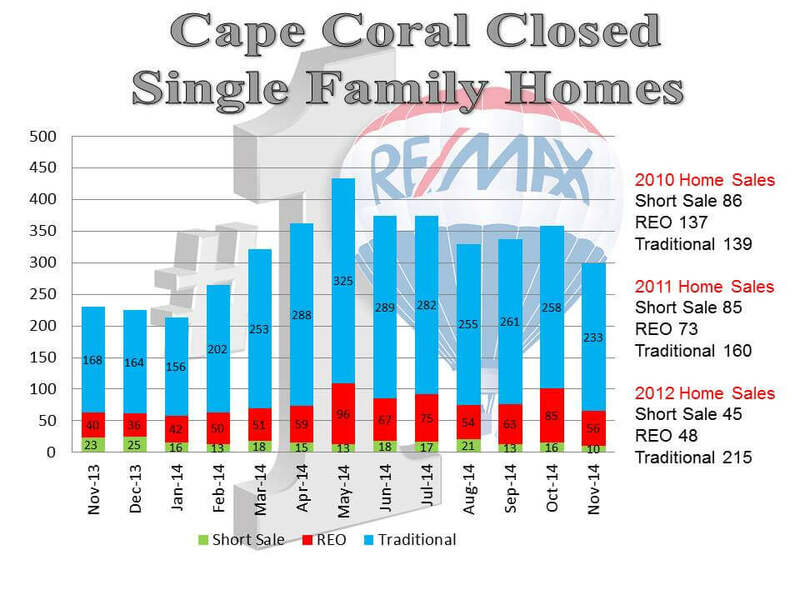 Throughout the year, Cape Coral traditional listings have remained very steady at 250 mark. 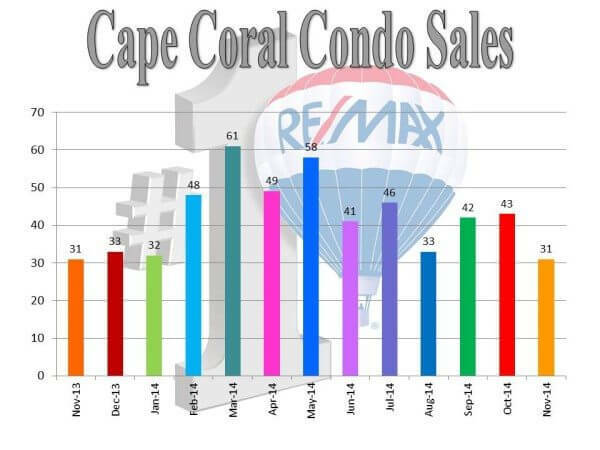 Cape Coral annual appreciation is 5%, strong, healthy and very sustainable, national levels are expected to be around 3% (2015). Gulf Access lots sold on average for $172k and freshwater for $28k. there are currently 465 GA lots on the market with 26 offering some type of seller financing terms. New construction permits saw an incredible 28% increase over last year. 46 new permits issued in November. Short Sale Tax Break passes the House and is on to the Senate. The Tax Increase Prevention Act of 2014 if passed would offer tax breaks for thousands of distressed homeowners who sold their homes prior to the Mortgage Debt Forgiveness Act that expired in 2013. A proposed rule by CFPB committed to ensure that homeowners and struggling borrowers aren’t wrongly foreclosed on is in review. If passed the new rule would expand consumer protections to surviving family members and other homeowners (which is currently in place) the new rule will extend to divorce, legal separation and more. Alternative mortgages (ARMS, jumbo, interest only) have risen approximately 15% in recent years.